Despite the fact that it has been surpassed by the S9, the Samsung Galaxy S8 is still a great choice for anyone on the hunt for high-end smartphone handset. When the Samsung Galaxy S7 and S7 Edge were released, they set a new president in smartphone technology, and so when the S8 was launched, the pressure to deliver was on. Thankfully the Samsung Galaxy S8 was met with extremely positive reviews, and completely surpassed everyone's expectations. 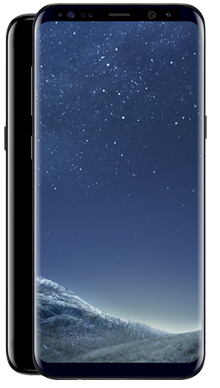 The Samsung S8 is a solid choice whether you’re looking for a phone for personal or professional use. It combines a stunning design with exceptional technology to make for a truly outstanding handset. The Samsung Galaxy S8 looks incredibly like the previous S7 Edge, but that's no bad thing. 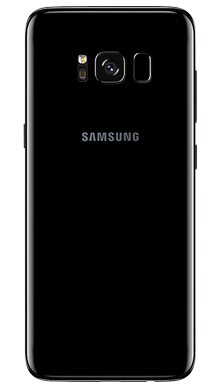 Samsung recognised the success of the older design and chose to tweak it marginally to continue that success with the new release. Combining sleek, sophisticated design with soft rounded edges and corners, the S8 is truly one of the most beautiful handsets ever to be launched. It comes reinforced with Gorilla Glass 5, a tough aluminium frame and is made all the more durable due to the fact that it is water and dustproof. 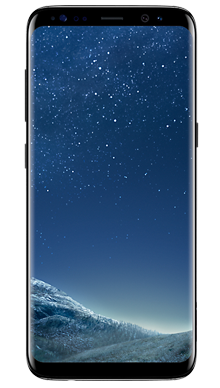 If style is your main concern, then you’ll be pleased to learn that the Galaxy S8 comes in an array of beautiful colour options to choose from; Midnight Black, Arctic Silver, Maple Gold, Coral Blue, Orchid Grey. 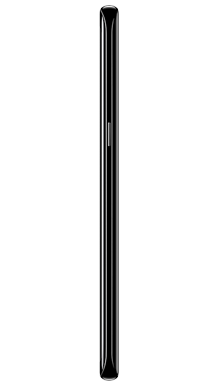 The S7 Edge launched the now infamous infinity screen that Samsung has become known for, and the S8 retains that feature. It features a Super HD AMOLED display panel which delivers a stunning viewing experience with bright and vivid colours and a balanced contrast. There’s also the additional option to adjust the brightness for outdoor use so that the handset can be optimised for use in any lighting condition. The viewing experience is fantastic and is further matched by the great audio experience. The sound quality is well balanced, dynamic and clear, with all instruments and rhythms handled exceptionally well. Unlike the iPhone, the Samsung Galaxy S8 comes with full support for hi-resolution music files, and there’s also a pair of great quality AKG headphones featuring a braided cable in the box. While the camera setup on the Samsung Galaxy S8 isn’t so far removed from the S7 series, it does feature a much brighter aperture meaning that photographs come out far better in any lighting conditions. Another improvement is the addition of optical image stabilisation and dual pixel autofocus to ensure that you can take your smartphone photography skills to the next level. The jump up to an 8MP sensor on the front of the camera results in great selfies, so any confessed social media addict will be more than happy with the performance of the S8. If you are looking at the Samsung Galaxy S8 for professional use, then you’ll be grateful for the addition of Bixby, Samsung’s handy AI software that will assist you in all of your day to day activity. The Samsung Galaxy S8 runs on the trusty Exynos 8895 processor for a smooth and responsive smartphone experience that won’t let you down. 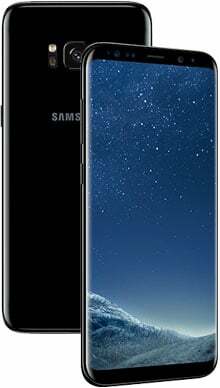 Battery life is usually a big concern when you are purchasing a new smartphone, and with that in mind, it's reassuring to learn that the Samsung Galaxy S8 comes equipped with a 3000mAh battery cell, to easily see you throughout a day's intensive use. Plus with Quick Charge 2.0 and wireless charging, it's easy to give your handset a quick boost when you need to. Here at Metrofone, we have some of the very best Samsung Galaxy S8 deals on the market. Whether you’re looking for bags of data, great perks or massive savings, we have the Samsung Galaxy S8 offer for you. We partner exclusively with EE to bring you the very best deals our team can secure; they work tirelessly to ensure that our customers receive the latest EE Samsung Galaxy S8 offers. If you think that the Samsung Galaxy S8 is the handset for you, but you want a little more information, or if you’d like to discuss a deal in more detail, then why not call our dedicated customer service team today on 0333 900 1144 for all of the information you might need? They’ll be happy to listen and secure you the very best EE Samsung Galaxy S8 deal.